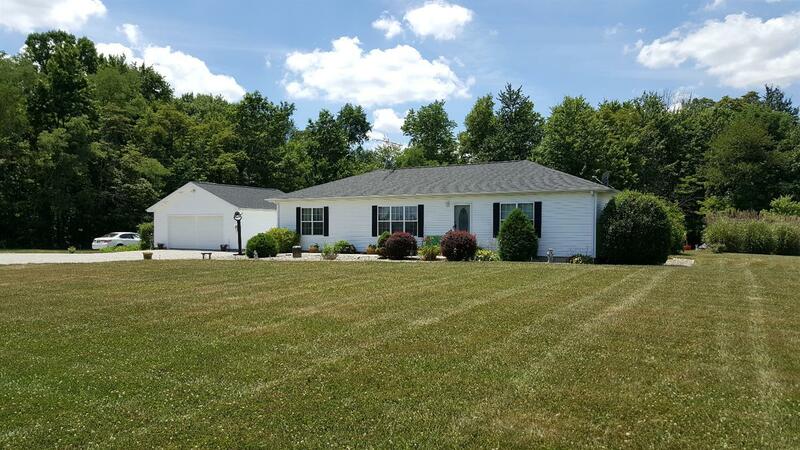 Beautiful country setting on 4.22 acres! 3 bdrm manufactured home built in 2002 w/2x6 construction. New in 2017:Trane Gas Furnace & roof shingles on house & outbuildings. Detached garage:32x24 w/elec,concrete flr,& heated. Pole barn:24x24 w/elec. Nice patio & fire pit area. Walkin closets in all 3 bdrms. Full unfinished walkout bsmt for future rms.